Caliber Collision offers continuing education in many of the communities we serve. Our class schedule consists of a variety of Property and Casualty courses, ranging from Understanding Theft Issues and Providing Accident Prevention Advice to Understanding Body/Frame Repair and Collision Refinish, to name a few. We also offer Ethics classes to satisfy the mandatory Ethics credits. Our courses are accompanied with a center tour. The goal is to offer a first-hand experience of the daily operations at a quality repair facility, observe our state-of-the-art equipment and meet our teams. Our courses are approved by the State Department of Insurance for Continuing Education Credit for Insurance Agents, agency staff and insurance adjusters. Please contact the Field Account Representative in your area if you are interested in upcoming courses or would like to be added to the agent invitation list. 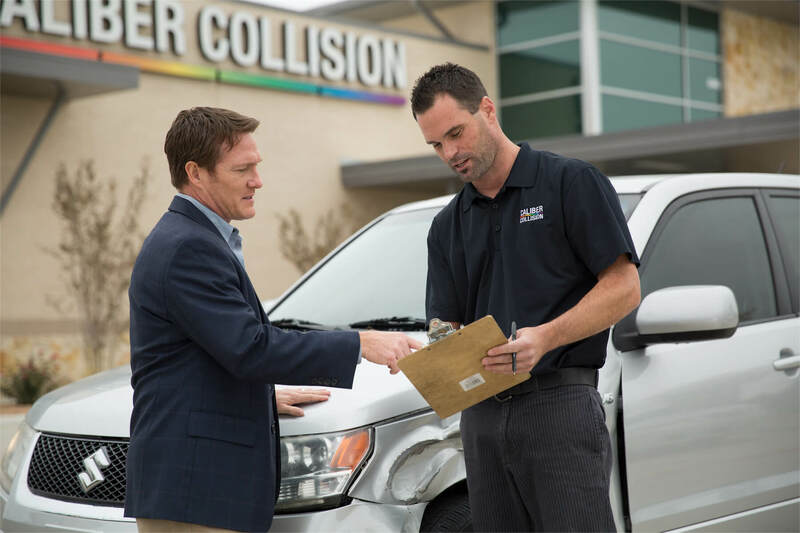 Our mission at Caliber Collision is to be the collision repair provider of choice in every community we serve. One of the ways we accomplish this is by offering easy ways to make it through the collision repair process, such as FREE online estimates. The convenience of a free online estimate enables our customers to make a quick and educated decision based on the preliminary estimate they receive before filing a claim. Our goal is to eliminate claims being reported, if unnecessary, and create a situation where the customer can make an informed decision. Our service advisors will review the photos and provide an initial estimate at no cost within 24 hours of submission. A final appraisal will then be done in person when your policyholder arrives with the vehicle to ensure the estimate meets our strict standards for competitive pricing and accuracy. We will then continue with our goal of restoring our customers to the rhythm of their lives. In today’s world of customer service, a quality product is not good enough. There are many ways to improve your customer service, or more specifically to improve how your customers experience your service. Some improvements will require a lot of effort from your side, while others are fairly inexpensive and easy to implement. Keeping the customer in the loop actually costs nothing financially; it only requires time. And when you keep an open line of communication with trusted collision repair companies like Caliber Collision, keeping your customers informed and at ease gets a whole lot easier. The result is loyal, lifelong customers. 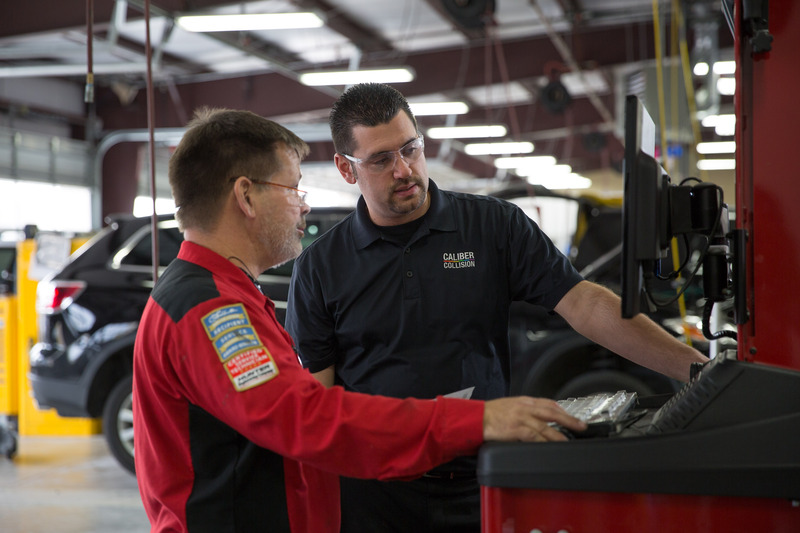 After Mitchell International completed their analysis on the key drivers to customer loyalty, they revealed “keeping the customer informed” had the largest correlation to whether or not a customer will refer a family or friend to a collision repair facility. And when you’re responsible for recommending a collision repair facility, suffice it to say that the customer’s satisfaction associated with the repair company strongly affects their over all satisfaction with you, the agent, as well. So, customer service is not rocket science, after all. Let your customers know about anything that could possibly affect the outcome. Keep in touch with the repair facility so that the customers stay informed on issues such as delays, or even the struggles in completing the job. If there is a customer issue that may take a while to fix, it is much better to inform them of the issue and let them know you will get back to them as soon as possible. Caliber service reps can even help you explain the challenges they’re faced with, and talk about solutions with you or your customer. Customers would rather know something, even if it were bad news, than be left in the dark wondering when the repairs will be completed. At Caliber Collision Centers, our purpose is restoring the rhythm of our customers’ lives. We propel this by keeping them informed at a minimum of twice a week or daily, if requested, through the multiple channels of communication (text messages, e-mail or voicemail). While the auto collision repair industry averages 70-75% in keeping the customer informed, Caliber Collision averages 94.5% (2014). We encourage agents to take advantage of this constant communication to ensure that their customer is satisfied with their experience on all fronts. We find that this helps to restore customers to the rhythm of their lives, which helps retain customers for life.